Helping people & businesses find customized insurance policies by keeping our customers' best interest at heart. We will help you find a personal insurance solution that protects what you value most. It’s a bold statement, but Gallant Insurance Agency and L.F. Robbins Insurance have helped individuals and families do just that for decades. At Gallant Insurance in Acton, Massachusetts, and L.F. Robbins Insurance in Pepperell and Townsend, Massachusetts, business insurance solutions begin with risk management assessments. As your family grows, so do your insurance needs. The peace of mind in knowing that you and your family are properly protected from life’s unpredictability is invaluable. That’s why at Gallant, we proudly offer life and financial services to protect our clients from the unexpected. What’s Covered Under Umbrella Insurance? As an independent insurance agency, we are not tied to one insurance company. Rather, we compare policies and rates across national and regional insurance companies, identifying opportunities for savings and protecting clients with unique coverage issues. Our relationships with clients and insurance companies are based on trust and loyalty, values that have allowed us to grow into one of the leading independent insurance agencies in Massachusetts. We invite you to contact one of our three Massachusetts insurance offices to learn more about how Gallant Insurance (Acton) and LF Robbins Insurance (Pepperell and Townsend) can help you find the right policy at the right price. 11 Years in a row! 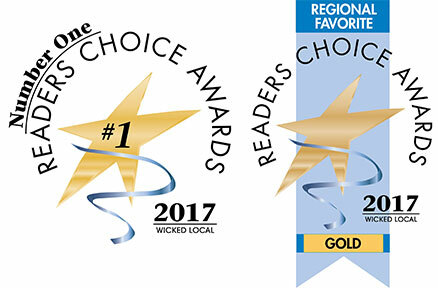 Thanks Again – For Voting Us #1 Choice and Regional Favorite – Gold. Thank you so much for all your time and patience handling my car insurance. I know you must have called many people and went through many steps. incredible. You saved me from what could have been a real nightmare. I appreciate all that you did for me. Thank you,” — Janet A.
Gallant Insurance and L.F. Robbins Insurance provides home, auto, life and business insurance services throughout the Boston area including Concord, Boxborough, Littleton, Westford, Chelmsford, Groton, Harvard, Stow, Ashby, Boston, Hollis, NH and the counties of Middlesex, Worcester, Suffolk, Essex, Norfolk and Barnstable.